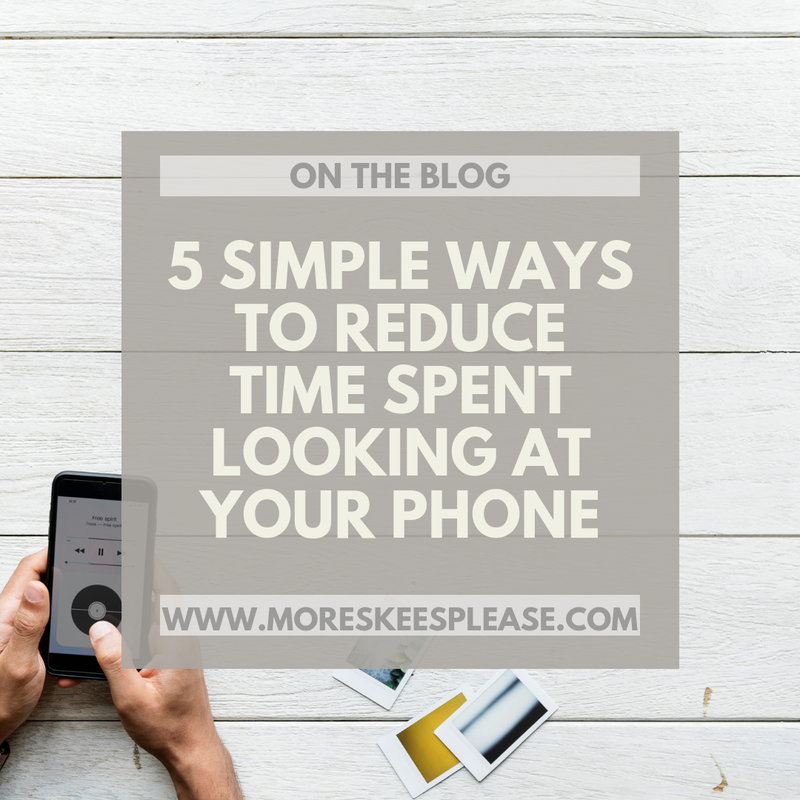 With technology putting everything at our finger tips - from news to Solitaire, grocery shopping to checking the weather - it makes our smart phone usage almost impossible to avoid. We mindlessly scroll social media and Pinterest making mental lists of things we are going to start doing - eat better, become more organized, save money - and then have the hardest time actually doing anything. I set my phone down to throw a load of laundry in and from across the room hear the ding of a new text message. I stop what I'm doing, respond to the text (because not responding to texts is a huge pet peeve of mine) and then get sucked in to the black hole of Instagram, Instagram stories and Facebook just to keep the little red notifications off my screen. And then, that laundry? Well it is still sitting there, unwashed, and I begin to feel frazzled about how much I have to do and its a big ugly spin cycle of my very own making. If you can relate, then like me, you have also probably deleted social media apps from your phone but not before announcing "I'm taking a social media break" across all platforms (insert eyeroll here). I'm eyerolling not only for the annoying, cliche declaration but also because the social media fast rarely lasts longer than a hot minute. It's just SO hard! Turn off notifications -- Those small red dots on every app seem to scream "Look at me! Pay attention! Check this out!" It drives me crazy to have them there and even if I don't necessarily pay attention to the content it is flagging, it still takes time to clear them. Turning them off has definitely impacted my phone usage. On iPhones, go to Settings then Notifications and toggle "Allow Notifications" to the off position. If there are certain apps that you simply need to receive notifications from (like email for instance), you can manage the settings by each individual app as well. Move social media apps into a folder or off your home screen -- It seems kind of silly, but by simply grouping Facebook, Instagram and Pinterest into a folder on the 2nd page of my phone, it makes the accessibility a little less convenient. Kind of goes with the out of sight out of mind theory. If they aren't staring at you from the home screen each time you pick up your phone then perhaps you won't be so inclined to open the apps. Set screen time limits -- Apple recently introduced it's own monitoring capabilities on iPhones. Under Settings, Screen Time, you can see just how much you are on your phone. It breaks it down into categories and you can also see it by app. Just checking in here daily helps put things into perspective, but if you need to take it a step further you can even set limits for yourself. "Downtime" allows you to set a specific time frame for not using your phone or you can set limits for specific apps. Bonus: this can be done for each iPhone/iPad user connected through Family Sharing which makes setting limits for kids super easy! If you don't have an iPhone, there are many apps that will monitor screen time and allow you to set limits as well. Be intentional with your time -- Try making a schedule for yourself every day. Build specific tech/phone time into your schedule. For instance, set a goal that you will allow yourself a leisurely social media scroll while drinking your morning coffee but then not again until later in the day. If the evening hours are tougher for you then commit to doing something like a workout, a bath or reading a new book for at least an hour. Leave your phone at home -- When all else fails, just leave your phone where you can't use it. I can't tell you how many times I have left home to run errands only to realize I accidentally forgot my phone. After that initial panic wears off ("how will I know the best way to Target without Waze? ", "what if someone important calls me? ", "I'll have to actually use my debit card instead of my Apple Pay?!?!") I remember there once was a time these tiny computers didn't exist and we made it just fine. I bet you will even enjoy being without it after a while. Technology is a way of life these days. I use my phone for more than just browsing social media -- important things like being accessible if the kids are sick at school, answering emails and paying bills on the go. I do not think it is realistic to think adults (and even kids at this point) should not be using smartphones, but when overusing them becomes an unhealthy habit, we need to make sure we are capable of addressing that habit just as we would anything else. Anyone brave enough to check your iPhone for you current usage time and share in the comments? No judgement here I promise! When kids are little, and learning to navigate the big world full of all kinds of people, they depend on us to guide them. To show them that things like our skin color, our size, our disabilities, are not things we use to determine if we can play with a person at the park or speak to at the store. We do this by exposing them to all kinds of people and modeling behavior that does not put a barrier between us and those who are different. As kids get older and begin to develop their own likes, dislikes, and personalities - when they can exercise an ability to choose with whom they connect and want to be around - we hope that we have done our job so that they are naturally drawn to people based on their character and not their physicality. That their friend group is diverse and interesting. But sometimes, at no fault of their own, they simply aren’t ever exposed to individuals who are much different from them. The desire to reach out beyond the small group of friends they have from soccer or their neighborhood crew slows down. And while it may not be intentional, they begin to let go of friends who aren’t into the same things or part of the same crowd...or those who are different. What does this mean for a child with special needs? Unfortunately it means that friendships for our kids often fizzle out in upper elementary and early middle school. Kids who once cast a much wider net while building friendships, one that may have included the kid with autism or a hearing aid or a birth defect, now feel pressure to “fit in” rather than stand out. So befriending those that do (stand out) does not come easy. I get it. I remember being there. I also remember my parents always telling me to be kind to everyone no matter what. I sat with the kid on the school bus who was being made fun of for his speech impediment and told those kids to buzz off. I helped the quiet girl who dropped her books in the rain. I didn’t always do the right thing, but those times I didn’t stick with me to this day. There was a girl in middle school who used a walker. I am not sure exactly why but from what I could tell it seemed she had limited use of her lower limbs. One day in chorus she had a small accident. She sat behind me and I vividly remember her motioning for the teacher so she could tell her what happened. She started to cry and soon others began to notice the wet spot on her pants and chair. Kids laughed and shouted and pointed and although I didn’t, I also didn’t help or try to get the others to stop. Sure, I knew to be kind and how NOT to be unkind, but what that girl really needed was a friend. 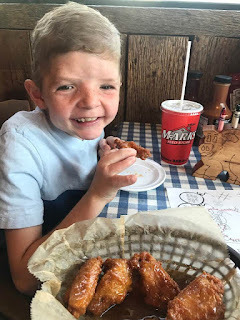 Now, with children of my own I worry once again about the upcoming middle school years, particularly for Aiden, my 5th grader who has a rare craniofacial condition. If you don’t know about Apert syndrome (and you likely won’t if you don’t know us personally), it includes marked physical differences in his face, hands and feet. He’s had more than a dozen medically necessary surgeries to improve breathing, address vision and hearing issues and more major ones that have changed his appearance in a drastic way. Friendships don’t always come easy for Aiden. When he was younger, kids were usually scared of his appearance initially and it wasn’t until someone forced the interaction that he would be included. 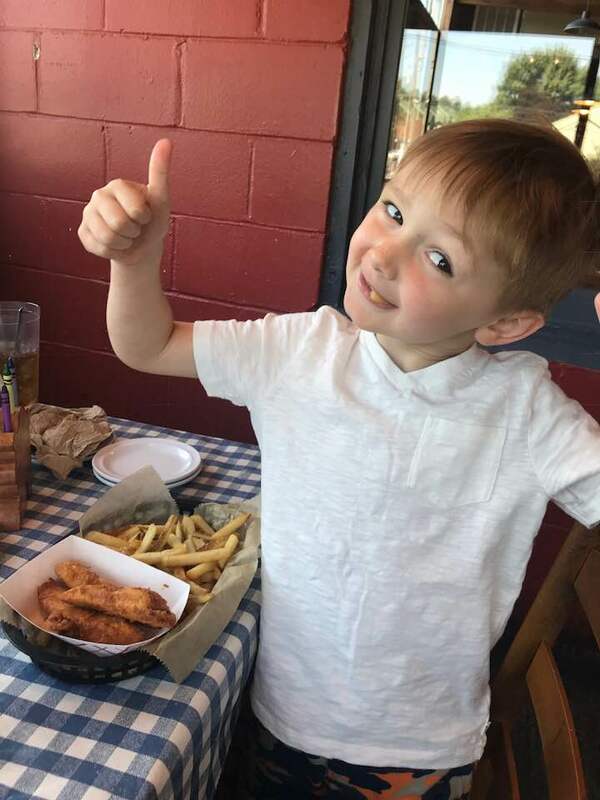 My husband and I have always had friends who encourage their kids to get to know Aiden and treat him like any other kid and we are forever grateful for those relationships. Those have taken the sting out many times over the years. Once Aiden got older and began attending school, he needed to navigate it on his own. In the early years it only took a visit from mom to the classroom and an opportunity to ask questions for kids to no longer think of Aiden as different. Later on, though, there was a distinct shift in the friendship department. The kids who were kind at school were establishing friendships beyond the classroom and for the most part, they didn’t include Aiden. There were the occasional party invites and play dates initiated by a kind mom wanting to encourage her child to be inclusive. But those often became painfully awkward like one instance where the kid complained “I didn’t want to be here but my mom made me” when Aiden had him over to hang out. Are kids kind to Aiden? Most of the time, yes! And I’m very appreciative for the time spent by caring parents reminding their kids to be kind to the kids who are “different.” Do I want more than surface friendships for my son? Absolutely. Kids with differences do not need to be included for the sake of being included. If you think you are doing the “right thing” by inviting my child to a party when your child does not actually want him there, you’re not. Your intentions, while good, can make things worse. He can tell when he’s not wanted somewhere or when his invite was an afterthought. He knows. What he needs is genuine friendships with kids who truly see beyond his differences. He needs parents who encourage their kids to do just that. He needs just a friend or two - not even a whole group - who want him to hang out after school playing video games or go to the movies on the weekend. He needs kids who accept him as he is - as we all are - fearfully and wonderfully made. He needs kids who enjoy being with him for his silly personality and ability to name (and do) every Fortnite dance. My child with physical differences does not need pity. He does not need friends who are forced to invite him to social functions by well-meaning parents. I cannot always tell a genuine friendship at first and thus doing so is even more difficult for him. But I promise I would rather him have no friends at all than fake ones. The thought of either breaks my heart in two, but it is a reality I think about more and more. Each night I pray my sweet boy will be lucky enough to make a few genuine and lasting friendships. He deserves that connection. After all, isn’t that what we all want for our children? This past winter break, we visited my parents at their condo in Sand Key, FL near Clearwater Beach. We surprised the boys with a package of goodies a few days before we were planning to leave to break the news. Inside were fleece Mickey Mouse pajamas, Special Edition Mickey Oreos and Goldfish crackers (that I just happened to stumble upon on a Clearance rack at Target...score! 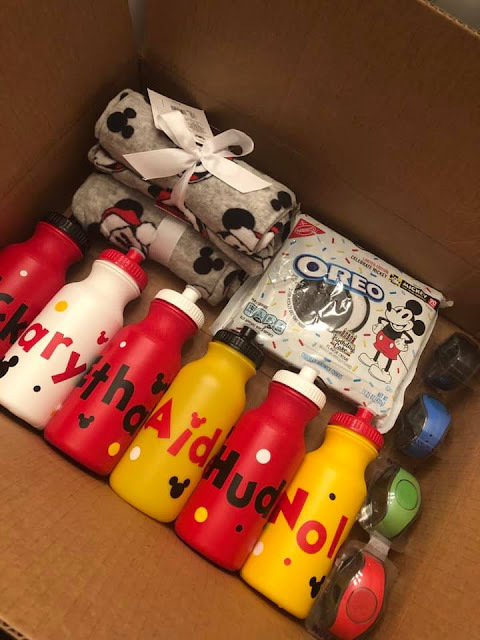 ), our Disney Magic Bands and customized water bottles sent to us from our Disney travel guru Susan Patel of Off to Neverland Travel. We had been to Disney World when Ethan and Aiden were little - 3 and 4 I believe - and this would be Hudson and Nolan's first time, so it was sure to be an exciting trip for everyone. Our plan was to stay in Sand Key for several days, then drive to Disney World for a day trip and back to their condo 2 hours away for a couple days before making the drive back to Kentucky. 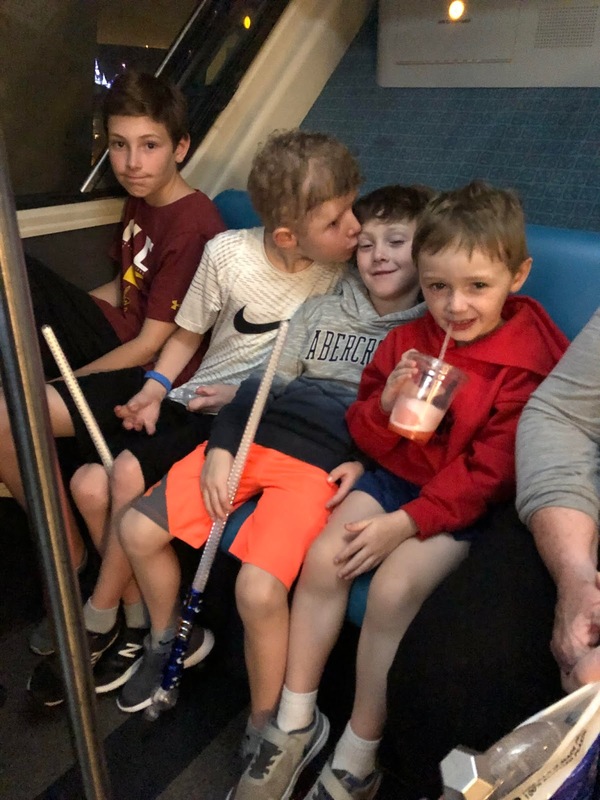 With only 1 day in the park and having a few park hopper passes we knew we needed help to make the most of our time at Disney which is why we were so thankful for Susan's help! She took care of everything from attaching our ticket information to our Magic Bands to scheduling our Fast Passes in advance. It was great! A few months in advance, I contacted Disney to learn more about their Disability Access Services Pass. Aiden has pretty severe ADHD and that coupled with the unique structure of his surgically separated toes makes waiting in lines almost unbearable for him (and for anyone having to wait with him). 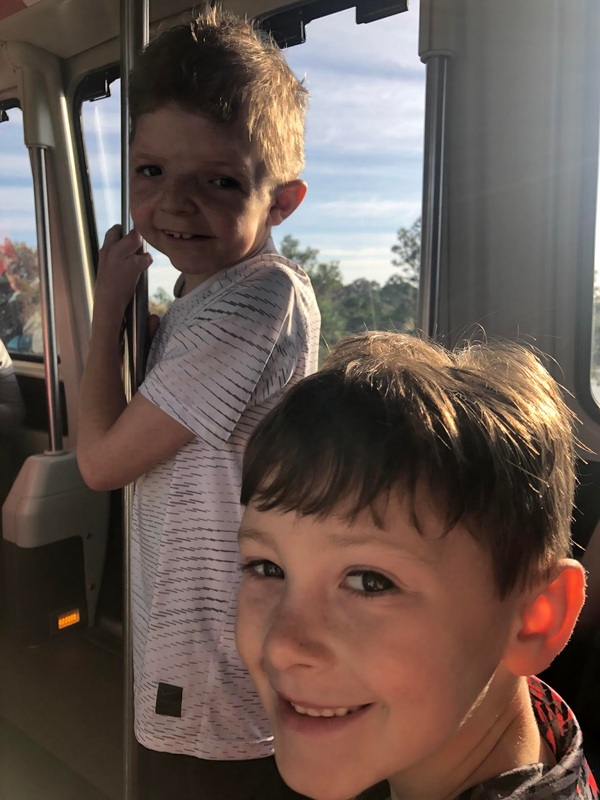 I was not sure if having Apert syndrome and ADHD would qualify him for the DAS pass, but after reading the guidelines provided on Disney's site, I felt comfortable seeking this assistance to make our trip more enjoyable. Besides, Aiden is stared at enough as it is, so the thought of subjecting him to long lines of people constantly gawking for anywhere from 30 minutes to several hours helped justify the need as well. On the Monorail heading in to Magic Kingdom! When we arrived at the park, we were instructed to head to a Guest Relations window to discuss getting the DAS pass. We already had Fast Pass selections - you can schedule your first 3 Fast Pass times up to 30 days in advance of your day at the park and this was done for us by Susan Patel as well. We weren't sure if we could utilize both the DAS pass and the Fast Pass system and if that provided any additional benefit. Oh boy it did! After a quick conversation and introducing Aiden to the Guest Relations Personnel, they added the DAS designation to each of our Magic Bands. This allowed us to access and make changes to our DAS and Fast Pass selections on the app on my phone, which automatically loaded to our Magic Bands for scanning at each ride. She explained that just like a Fast Pass, you would have to visit the attraction you wanted to ride and receive a return time. However, the DAS could be used in conjunction with a Fast Pass meaning we could get both a DAS return time AND a Fast Pass return time for the same OR different rides concurrently. For example, we were able to schedule a Fast Pass return time of 8:30 for one ride, and a DAS return time of 9:00 for the same ride if we knew we would want to ride something more than once. One extra feature of the DAS pass is that you are able to return and ride once at the time assigned or anytime thereafter for the rest of the day, whereas with a Fast Pass you must ride between the designated return time frame given (8-9am, for instance) or entrance is forfeited. Like the Fast Pass, you are still only allowed to schedule the next one once the current admittance is used, but if you plan well, you can look at wait times and park location of attractions ahead of time and decide pretty quickly which one you'd like to try to snag next. Finally, the person with the DAS pass needs to be the one securing the DAS return time and must ride the ride. When we entered the park, we made our way to our first two Fast Pass destinations, Buzz Lightyear's Space Ranger Spin and Space Mountain. These are two of Magic Kingdom's main attractions so our travel agent knew to secure these first as part of the 3 we got to schedule ahead of time. 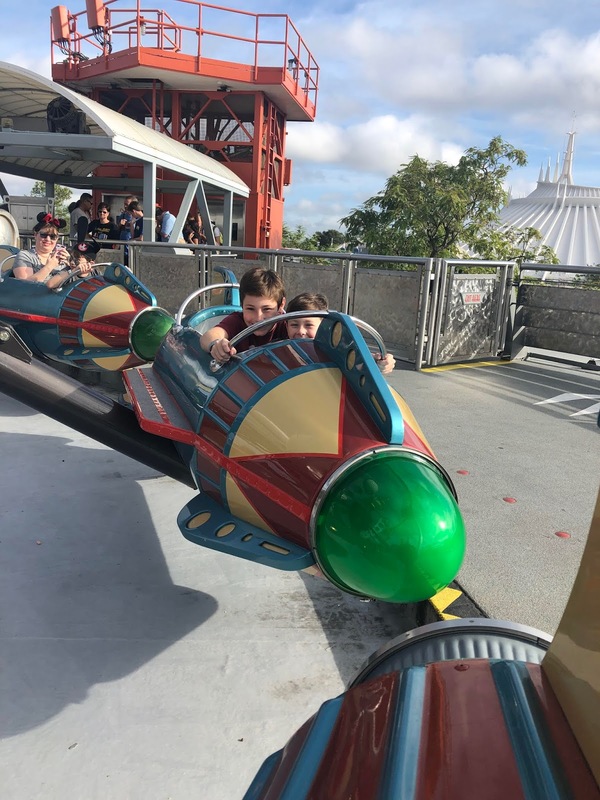 The boys LOVED both and after riding Space Mountain, they wanted to ride again. So...we visited the cast member near the ride entrance and scheduled a DAS return time which was in just 20 minutes! What a time saver considering the line was already over 60 minutes long! We squeezed in a ride with a short wait time - Astro Orbiter in Tomorrowland - then got right back on Space Mountain for a second time. It was great! I told the boys we needed to head to Space Mountain to make our time slot and didn't see a low curb surrounding the area in front of the castle due to the amount of people stopped taking in the show. My ankle rolled, I heard a 'POP' and down I went. Ugh. We had only been in the park for a little over an hour at that point. The boys were so worried about me and I knew they were afraid this would put a huge damper on our only day at Disney. A cast member quickly came to my side and asked if I was okay and if I wanted him to call an ambulance. I already had hundreds of people staring at me since I was facing the direction of everyone watching the show so I said "no thank you!" to the ambulance. 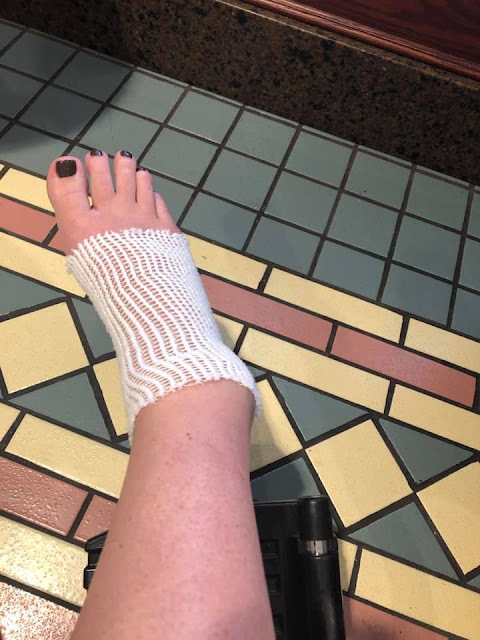 An EMS guy asked me some questions and even though I knew it was injured pretty bad - either a bad sprain or possibly broken - I was NOT going to ruin our Disney adventure. They wrapped my ankle with ice and an ace bandage, got me some Ibuprofen a wheel chair and off we went! We could still make it to the Fast Pass time for Splash Mountain! I of course wasn't going to ride, but no sense in the boys not making it on! Back to the spot where I broke my ankle :( Stupid curb! Unfortunately, the wheel chair was not the kind that I could elevate my foot and after an hour or so I decided it was probably best to head to the First Aid building to raise it up for a bit to prevent further swelling. I got a fresh ice pack there as well and as I was changing it out, one of the workers took a look and said I probably should get an x-ray. They arranged transportation to a local walk-in emergency clinic. Nolan and my mom came with me while the other 3 boys and Ricky stayed behind to continue having fun. In fact, while we waited at the doctors office, he called to tell me that the DAS pass got them on the Avatar ride - one that typically has a 4-6 hour wait - in 15 minutes! I call that a HUGE win. Six hours later...an x-ray confirmed...broken fibula at the ankle. :( It was getting late but we were able to make it back to Magic Kingdom a few minutes before the firework display started. Ricky and the boys met back up with us and although the rides were still open for a few more hours, we decided we should probably get on the road back to Sand Key. My foot was throbbing and I was so over being pushed around in a wheel chair in the crowds of people (which was no easy task for whoever had to do the pushing either). This was before the swelling was even at its worst! While our day at Disney didn't go quite as expected, the cast members were very eager to help and have made sure that we can come back to have a do-over at some point ;) When we come back to Disney, we will definitely be getting the DAS pass again. I truly feel that children with Apert syndrome deserve this extra convenience to make their time at Disney less stressful and extra special. I am grateful that Disney recognizes the need for a service like this and provides accommodations for individuals with varying needs. Even leaving earlier than expected, everyone was worn out! 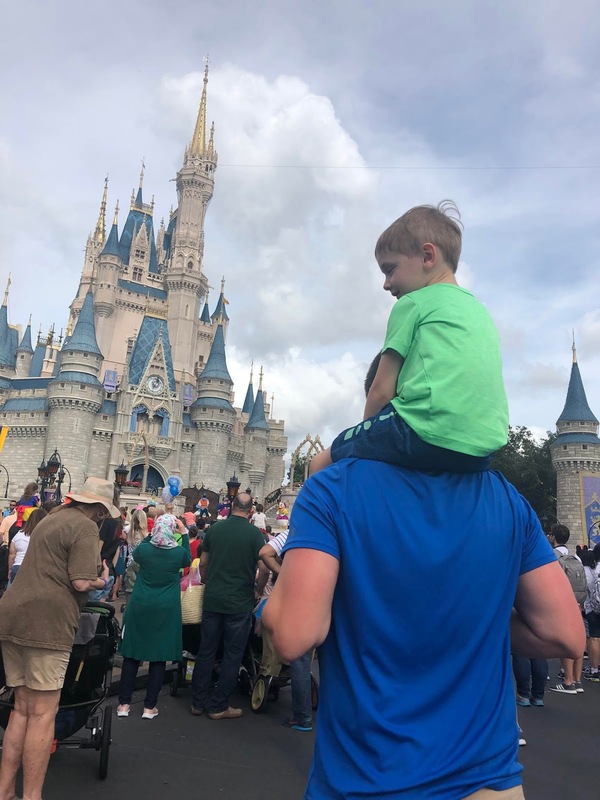 If you or a family member would like to learn more about the services available for individuals with disabilities or special needs, visit the Disney Parks Disability Access Service Card Fact Sheet. If you would like to reach out to Susan Patel for help planning your Disney experience, you can email her at susan.patel@offtoneverland.com. 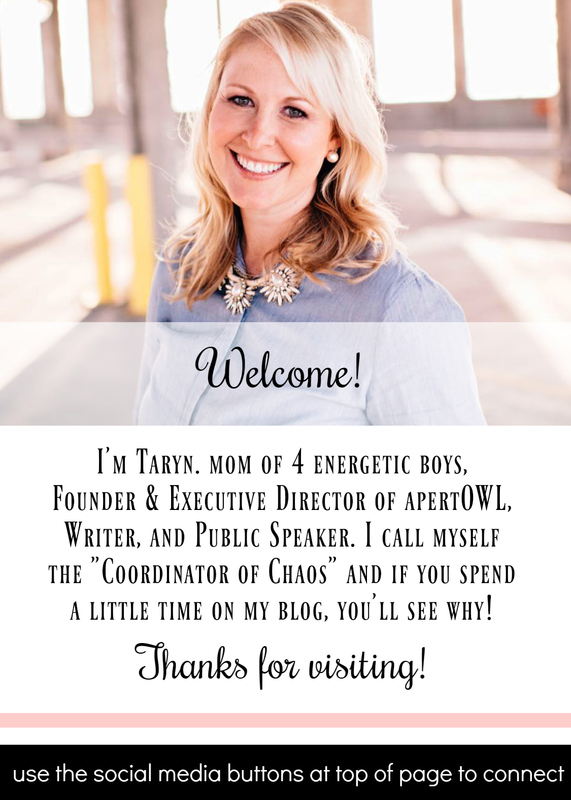 Susan is a friend of mine - our kids go to the same school - so if you do, tell her Taryn @ More Skees Please sent you! I am sharing one of my Instagram posts below from before my surgery as I think I covered most of the main "answers" to the "why are you doing this" question. I also have A LOT more photos documenting the whole process on my Instagram story called "MomMakeover", so I definitely encourage you to hop on over there and check it out. In the meantime, I will elaborate on the journey from start to finish here on the blog as well. Feel free to comment, ask questions or email me privately. Go to my Contact page for all the ways to reach me. This body has carried 4 babies. This body has been a competitive gymnast, diver, swimmer, and a professional carrier of things (kids, groceries, shopping bags, laundry baskets...). It has been thin. It has been big. Healthy and strong. Ill and weak. This body is mine and I am proud of it. With that said, this body is one I would like to improve. After 4 babies, not only did my thyroid crap out (hello Hashimotos and hypothyroidism!) but my skin and muscles suffered damage as well. I was blessed with deep stretch marks that pulled so tight they remain thin purple streaks across my entire stomach. My abdominal muscles were quite literally ripped apart with each pregnancy (diastasis recti). My belly button diminished into itself leaving behind a hole where I had 2 hernias that needed repaired. Child bearing is no joke! While I wouldn’t take any of it back for a minute - and I know just how lucky I am to have been able to experience the incredible miracle that is pregnancy and childbirth - it doesn’t change the fact that my confidence has suffered. I’m at a point in my life where I have the time and energy to prioritize my health. My body. I’ve decided to revisit cosmetic surgery. A “mommy makeover” if you will. And before you start thinking that this choice is selfish, unnecessary or just plain stupid, I ask that you keep that to yourself. Believe me, I’ve already had and considered the very same negative thoughts. I haven’t come to this decision lightly. In fact I had this exact surgery scheduled 4 years ago but chickened out and cancelled. I tried hard to make peace with my body as is. I did. But this is where I am. I’m okay with it. My husband is okay with it. And honestly, that is all that matters. After a few consults with 2 of the best plastic surgeons in our area, I am excited to have come to a decision. I will be booking surgery next week to take place in the fall. I will be sharing each part of this journey. 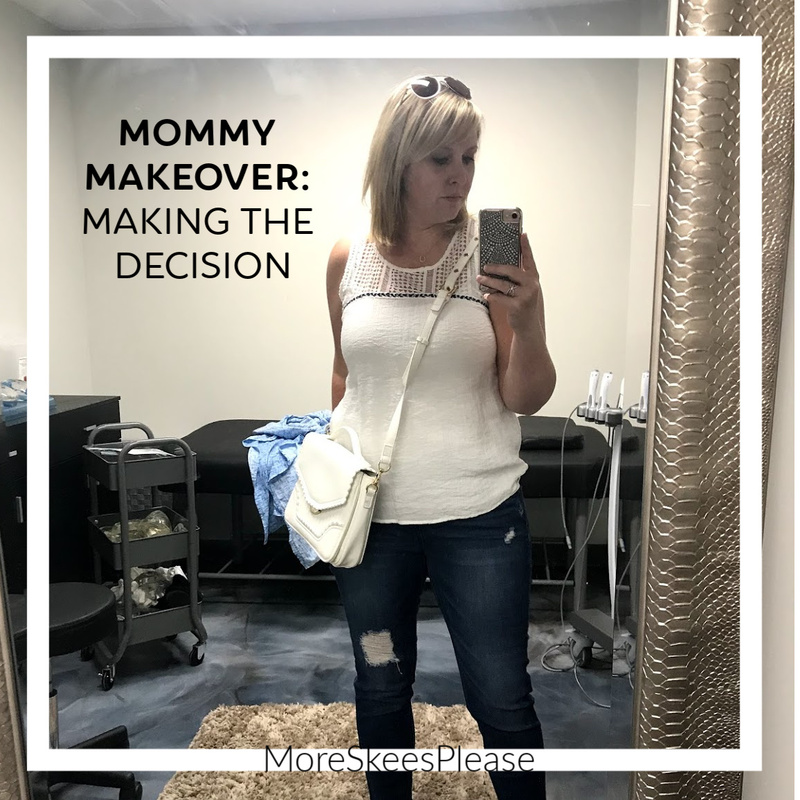 Whether you are considering a mommy makeover, have had it done, or just simply want to see the transformation, I hope you will follow along! Deciding to share this journey publicly was also one I did not come to lightly. Before I posted anything on social media about it, I thought long and hard about who I wanted to reach and why. I immediately thought of the numerous Google searches I did in preparation to make the decision to have this surgery. I probably watched hundreds of YouTube videos of others who had had it done. I was soaking up the information from every place I could - both online and by talking with those who were not ashamed to say they too had a "mommy makeover". All of those were so valuable in helping me make my decision and knowing where to go once I started to move forward with it. I knew that by sharing, I would eventually be able to help someone else who like me, struggled with whether or not this was the right choice for them. 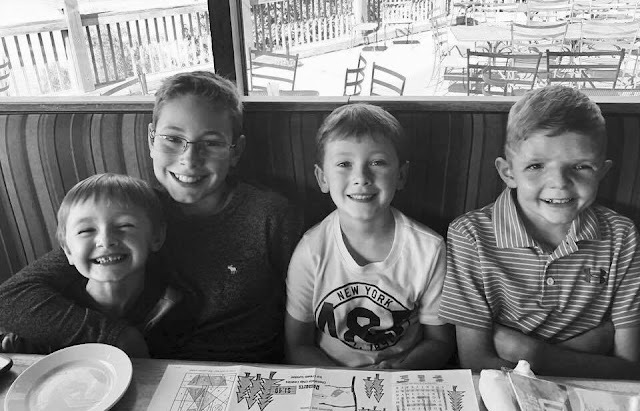 With that said, my older two boys are on Instagram (read about our Family Technology Guidelines here). Some of their 10 and 11 year old friends follow me on that platform so I am always very aware of what I share. I remember snapping the photos below in the mirror with the intention of sharing them as my "before" pictures on Instagram. Of course it was something I was nervous about - simply because who likes to showcase their imperfections online in that way. But I then started thinking less about myself and more about the people who would see it. My husband works at a large local professional business. My kids would see it and may die of embarrassment. What would they think? I thought it was important to get their input. I texted the photo to my husband at work. "Would you be embarrassed if I shared these photos on Instagram?" His immediate response, to my surprise, "not at all. you are beautiful babe and have nothing to be ashamed of". Okay, so I moved on to my oldest son. I went into his bedroom and showed him the pictures. "If I shared these on Instagram, would you be okay with it?" Again, a surprising response, "No. I mean it's your page. Do what you want." I felt like I had to at least tell him why I was asking, reminding him that some of his friends follow me and would see it. "Who cares," he shrugged. I was both shocked and proud. Next, I talked it over with Aiden. He just giggled and said "why do you want to post that?" I explained that I wanted to share my mommy makeover journey and part of that would be showing what my stomach looked like before vs. after. He giggled again and had just one small request. "Can you not show your top part, like, in your sports bra?" So I cropped my chest out of it and said "is this okay?" He said yes and that was that. I honestly thought one of them would urge me not to...so getting all of their blessings made it a little bit easier to push post. I mean why should I be embarrassed? It's my body and for all the reasons I listed above I should embrace it as part of this process. -- Scheduled initial consult appointments - had to wait a couple weeks to get in as both are busy plastic surgery practices. -- Day of appointment - I was SOO nervous. It's pretty vulnerable to be wearing nothing under a gown knowing that when the doctor comes in, you will have to open it up and bare all. They have to feel, push on, move things around and get a look from multiple angles. Talk about uncomfortable. But then you have to remember that they do this multiple times a day every day of the week so it's not like it's nothing they've never seen before. I had done some research and had a few questions for each doctor (see "DO YOUR RESEARCH" below for my suggestions). -- After consults - I met with 2 surgeons and while they were very different in terms of bedside manner and personality, both were great. I knew from their reputations that both were also very good at what they do. I laid out the pros and cons for each doctor and weighed that list in my decision making process. -- Scheduling surgery - Once I came to my decision on which doctor I would go with, I contacted the office and let them know. I was able to schedule my surgery for about 6 weeks later. Writing the date down on my calendar (and putting it in my phone) was surreal. I mentioned above that I had already scheduled this very procedure once before 4 years earlier, but then cancelled it when my nerves got the best of me. This time I felt much different. I was in a better place for sure. My kids were all a bit older and I was pretty much past the carrying a baby around on my hip stage. -- As surgery day approached - I was excited for sure. 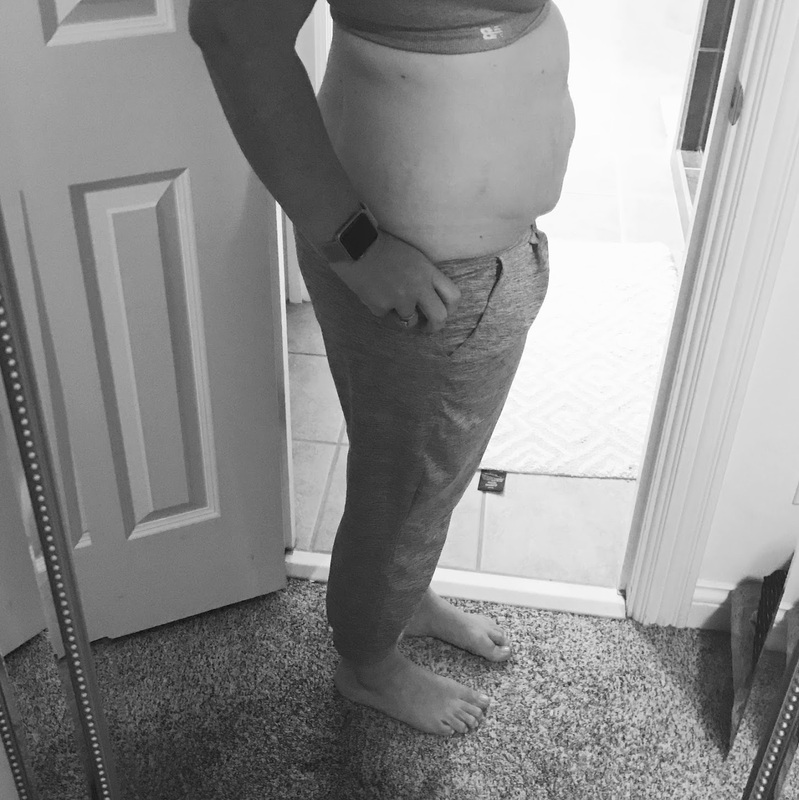 It was hard for me to picture my body any different than it had been for almost 11 years, but I was no longer second guessing my decision like the first time around. With that said, I was EXTREMELY nervous and often had to put it out of my head as thinking about it would almost make me want to throw up. People would ask about it and I'd literally say "I can't talk about it" and move on to another subject. Even so, I knew the fear was natural. -- Surgery day - The big day was finally here! I had childcare lined up and coordinated all the logistics of managing a busy household of 4 kids. I bought a HUGE weekly calendar and basically wrote down their schedules hour by hour - what time to wake them up for school, what they eat for breakfast, what time the bus comes for pick up and drop off, what activity they had after-school and thus what time each needed to eat dinner - the whole 9 yards. Not because I doubted whomever would be doing it in my absence, but rather because it made me feel like I was doing my part as a mom. After all, I was told that I would be down with little to no activity for at least 2 weeks. Ricky was taking the first few days off work to be home with me and manage the kids, then he was leaving for a scheduled work trip the following week so my cousin was flying down from Chicago to juggle it all. The morning of surgery my mom was there so Ricky could be with me at the hospital. I kissed my babies and sent them out the door for school, then headed on my way! 1. DO YOUR RESEARCH - There are many ways to do this. Scour the internet (but carefully consider sources). Read all you can on the subject to learn best practices. There are scholarly journals (that may be too much medical jargon), YouTube videos, hashtags on Instagram that can point you in the right direction. Talk to others who you know have had the same procedure. You'll also want to read reviews from others who have experience with the particular doctors you are considering. How many years have you been doing this? What are your complication rates? Can you explain exactly what is done during the procedure? Do you operate in a surgery center or at a hospital? What can I expect for recovery? How long before I can work out? Will my bra size change with just a lift? Do you offer any discounts for paying upfront? 3. PLAN YOUR SCHEDULE WELL IN ADVANCE - Managing a household or working outside the home take a TON of effort. When one parent is down (or the only parent in a single-parent household), straying from the schedule and relying on others can be daunting. Making sure you have the appropriate amount of time off work and enough help to handle the logistics of your family will prove to be SUPER important. Having a written calendar to lay out schedules is helpful. Communication is key. When deciding on your surgery date, look at your kiddos school calendar to determine any big projects that might be due or special activities that you may not want to miss. 4. PAY ATTENTION TO YOUR DIET AND EXERCISE ROUTINE PRIOR TO SURGERY - Most surgeons will recommend that you be at your "ideal weight" by surgery day. For many, that is just tough to do. The main reason behind this however is so that you don't come in overweight, expect to have surgery for weight-loss reasons, then be unhappy with your results if you a) don't come out looking thin and trim or b) lose a bunch of weight after surgery which would affect your results. It is a good idea to start and/or continue making healthy diet choices so you at the very least don't gain weight prior to surgery. Having healthy habits will make your recovery easier as well as give you results you are happier with. 6. FIGURE OUT YOUR PAYMENT OPTIONS - This procedure is not cheap. It is an investment you are making in yourself however, and I feel it is worth every penny. Discuss the cost upfront with your chosen surgeon. They should have an assistant who can walk you through your payment options. Most do not accept insurance (as these are typically elective procedures), but there are a few financing companies that plastic surgeons offices usually recommend. We financed my surgery through CareCredit which offers specific terms of repayment for a pre-determined period of time (usually 24-48 months). 7. DON'T HESITATE TO CONTACT YOUR SURGEONS OFFICE ANYTIME - If you've chosen a good surgeon with a good team, it will not be a problem at all to reach out with questions anytime prior to (or after) your surgery. I thought I had everything covered during the consults, but then thought of a hundred more questions afterwards. I was able to email with a nurse as often as I needed to discuss things as they came to mind. Good communication is very important, so make sure you pay close attention to this during the initial selection process. *If you are in the Louisville, KY area (or beyond!) and are interested, the surgeon I chose was Dr. Nana Mizuguchi. You can read more about his practice, Mizuguchi Plastic Surgery, via his website: https://nanamd.com/. I highly recommend him and his entire team! Sometimes we go days without giving Apert syndrome another thought. 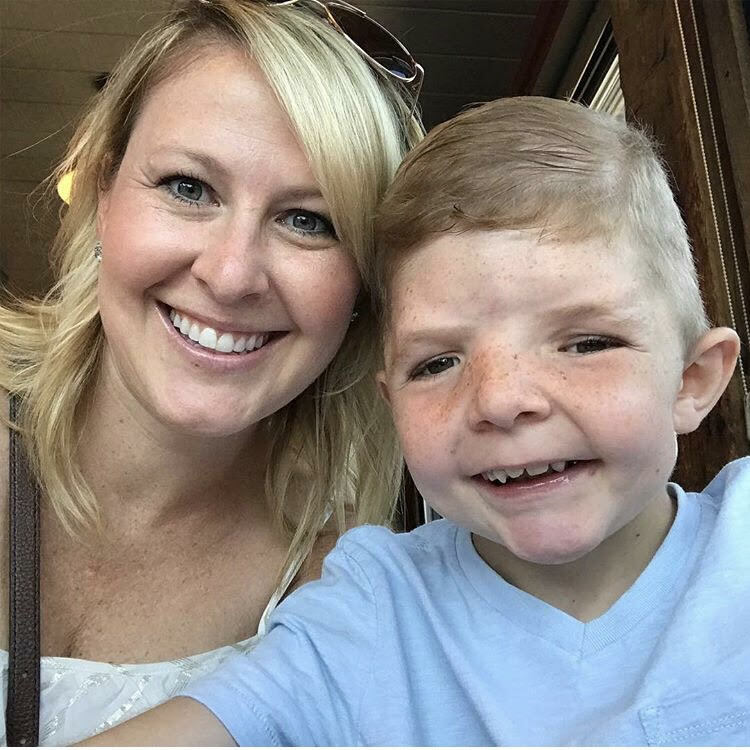 When surgeries aren’t looming and social interactions are positive, I may even go as far as to say we “forget” Aiden even has a rare craniofacial condition. But ADHD? It’s a giant struggle each and every day. I don’t often talk about the challenges we face with it because it seems so commonplace. 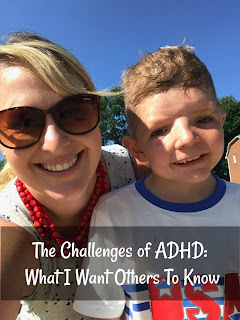 Everyone either has a child with ADHD or knows someone who does. However when I think back to before we got the “formal” diagnosis and how I was at my wits end thinking “what am I doing wrong?? ?” I decided that sharing some of the characteristics might help someone else who may be where I was 4 years ago. Just the other day, while sitting in the waiting room of my child's psychologist, I thumbed through the book "Smart But Scattered" that I pulled from the resource library. After reading the first few pages it was as if they had written about Aiden himself! The authors describe a familiar scene - telling your child to clean their room - and how that plays out for someone with ADHD. Not only is the room a disaster to begin with (because it's ALWAYS a mess), but the amount of time spent in there is minimal before they become completely overwhelmed and beg to do it later. Okay so you may be thinking “what kid enjoys cleaning their room and does it without a fight?” True, it’s not an uncommon family struggle. But the key difference is that it is not limited to just the task of cleaning his room. It could be something as simple as telling him to brush his teeth or hang up his coat that would elicit a full-fledged foot stomping, throw-himself-to-the-ground meltdown. The more complex the task, the bigger the response. Dealing with behavior like this is exhausting - for both parties! I would try to reason, reward or redirect each time to no avail. And I would always end up thinking “how can I be raising such a brat?” or “what am I doing wrong?? ?” My other kids were able to regulate their emotions and follow simple commands with far less push-back so it did not make sense. I would seek feedback at school in the early years, sure that his teachers would recognize the same behavior problems we dealt with at home but they would always say he is a good kid who listens well. Good news for most, but so frustrating for me as it was proof that he COULD behave for others and yet was CHOOSING to misbehave for me. When Aiden was in 2nd grade, his teacher and I discussed the possibility that we could be looking at ADHD. I was never one for jumping into medication as a solution and still wasn’t educated enough about ADHD to know if that’s what we were dealing with definitively. At one point, however, his teacher suggested it may be a good idea to have him formally evaluated. I scheduled an appointment with a child psychologist who specialized in ADHD. figure it all out.” However I wasn’t crying out of fear or disappointment. I was crying in relief. All this time I wondered why he couldn’t just behave! And now I knew it wasn’t his fault or mine. The diagnosis meant there would be a course of treatment to improve things. Amen! Right after the relief, I immediately wondered "where do we go from here?" Still hesitant to medicate, I began researching ADHD a little more. 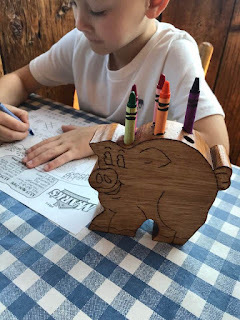 By the time 3rd grade rolled around, we had updated his IEP to include the diagnosis, implemented fidgets in the classroom, and put a clear plan in place as to how the teacher would help redirect Aiden when he would get off task. It worked for a while, but it became clear that those measures simply wouldn't be enough. His grades were being negatively impacted due to attention and focus issues and he was becoming a distraction to his peers. We collectively agreed that perhaps medication was the next step. I started to research again and came across information about a genetic test that would help determine which ADHD medication would be best suited to Aiden's particular genetic makeup. Unfortunately, most of those tests were not covered by insurance and the out of pocket cost was more than $1000! One of the labs I spoke with directly told me to look into an over the counter version that was offered at some local drug stores. I called around and found that Rite Aid had the test! It was a simple swab, done right there in the store, that was then sent off for the genetic results. So I hurried to Rite Aid and had it done immediately for just $75. (Which was a good thing because I heard shortly after it was discontinued there and wouldn't be offered anywhere). A few weeks later the results were received! It clearly labeled each type of ADHD medication and color coded them according to which ones were recommended for Aiden. This gave us a perfect starting point on which medication to start with. I say starting point because as I would learn very quickly, even with this extra information, ADHD medication is highly individually sensitive. What works for one child will definitely not work for every child. And furthermore, what works for one child may not work for that SAME child several months later. Getting the type and dosage right would prove to be quite an ongoing challenge. Aiden is currently on Vyvanse daily and a small dose of Adderal Monday through Friday at school. We recently added a new "medical food" supplement called Vayarin as well. We have to monitor the potential side effects - trouble sleeping, weight-loss (he cannot afford to lose any at all as he is currently on the very low end of the growth chart), moodiness, etc. and with frequent communication with his teachers, we are doing our best to manage ADHD in a way that will help him succeed both at school and at home. 1) ADHD is a neurological deficit - it isn't "made up", it isn't meant to excuse poor behavior and while some may say it is "overdiagnosed" that doesn't mean it isn't a very real condition for many. 2) Medication isn't a cure-all for ADHD, but it certainly can help. Don't be afraid to try it! 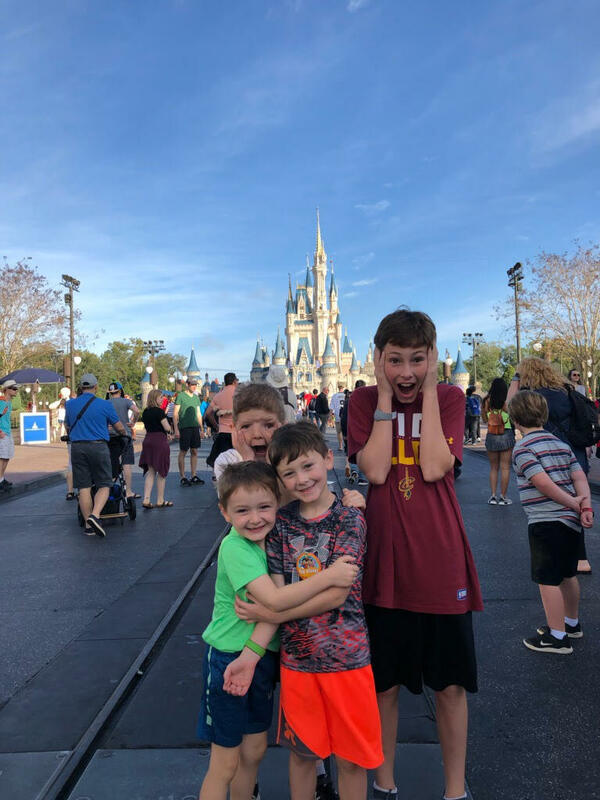 I was hesitant for YEARS...and then once I saw how having the proper medication helped Aiden reach his potential in the classroom I felt guilty that I waited so long. 3) Treating ADHD requires a LOT of patience and isn't an exact science. There is no one-size-fits-all solution. It will take a combination of doctor visits, therapy, interventions at school, medication and diet changes and the amount of each needed will constantly change. Peg Dawson, EdD, Richard Guare, PhD. “Smart but Scattered: The Revolutionary "Executive Skills" Approach to Helping Kids Reach Their Potential.” New York, NY: The Guildord Press, 2009. Click here to purchase "Smart but Scattered" on Amazon using my affiliate link. By doing so I will get a small commission which helps me to keep this blog up and running. Thank you! I'll admit, living in Texas for 3 years set the BBQ bar high. We knew how good we had it there and struggled to find anything that measured up once we moved back to the Bluegrass state in 2013. I had visited Mark's Feed Store several times while living in the Highlands during my college years at Bellarmine. It was good, but admittedly I hadn't been back but maybe once since then. Last week, however, we took the whole family out for lunch. This is a challenge for us for several reasons: it's expensive to eat out for a family of 6, we have several food allergies to consider, and in general our kids are picky eaters. 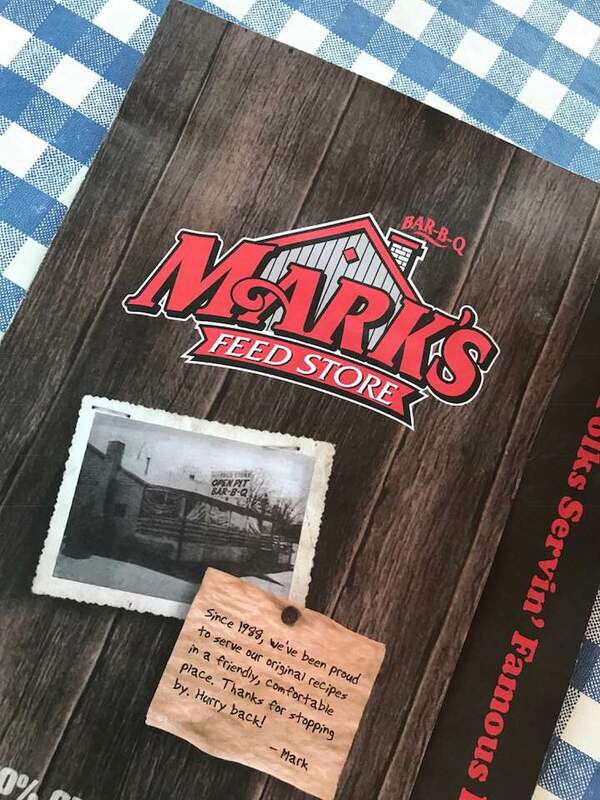 But when Mark's Feed Store invited our family to come for lunch, we were excited to give it a whirl. 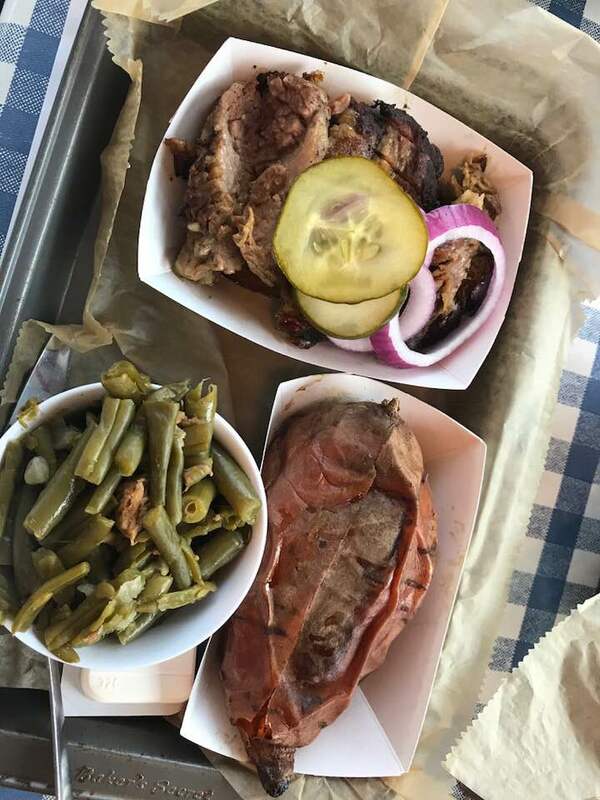 Having just started a Paleo diet in attempt to lose some weight and get back on the Gluten-Free train due to my thyroid condition, I did a little menu research ahead of time. I was pleased to find the menu had clearly marked Gluten-Free items (avoids the whole awkward asking the waiter at the table thing). And as far as Paleo...well, cavemen basically ate meat and veggies, both of which are plentiful at Mark's Feed Store! I'll admit I was a little jealous when they ordered the wings to start as they are fried (so not paleo-friendly), but I did cheat a bit by pulling some of the meat off the bone and dousing it in their honey sauce. Yum! The rest of our orders included the pulled chicken, pulled pork, ribs and chicken fingers with fries. Even the kids meal portions were generous -- more bang for the buck for sure! We were all stuffed...so we asked for the dessert menu to order something to go. The boys chose Oreo Banana Pudding. When they opened the container for "just a peek", they decided they somehow had room to eat it there. It must have been good because a few second later it was gone! We were all around pleased with our visit and would definitely recommend checking out a Mark's Feed Store location near you. There are 6 convenient locations throughout Kentuckiana. Visit Mark's Feed Store or More Skees Please on Instagram to learn how to enter! **I received compensation for this post, but, as always, my opinion and photos for all reviews are 100% honest and my own. A few years ago, our oldest son Ethan asked us if he could create an Instagram account. I believe he was 9 at the time and to put the subject matter off in the moment, I may have said "when you're 10". It didn't get brought up again. Well, wouldn't you know that within minutes of us showering him with "Happy Birthday" and a special 10 year old breakfast request, Ethan reminded me that I said he could get Instagram when he was 10. And here we were. As someone who uses social media regularly in my every day life, I felt like I needed to address the topic with him in a fair and balanced way. I stayed true to my word and allowed him to download Instagram to his iPod but spent quite a bit of time helping him understand the benefits and risks of sharing online, whether in a private or public way. We talked about general rules, things not to do, photos not to publish, etc. and I felt comfortable granting him that privilege. After all, Ethan was (and still is) quite mature for his age. Once our second oldest, Aiden, caught wind, his eyes got big. "So I can get Instagram when I'm 10?" Now Aiden is not quite as mature for his age as Ethan, but how can I say no to one and not the other? I left my response much more vague this time "We'll see," I said. And...here we are. On the eve of Aiden's big double-digit birthday and guess what he's been talking about all day? Instagram. Our family is very "connected". My kids have televisions in their bedrooms, iPads, Kindles, iPods. Basically, as Ricky and I have upgraded our devices, we've either passed our old ones down or at the very least kept them to give to the kids at some point down the line. My kids all know how to find their way around passwords and YouTube searches - and were pretty good at it even at the young age of 3! Tonight, with Aiden anxiously awaiting access to Instagram tomorrow, I knew I had to come up with a clear-cut way to communicate the rules for our household. I finally went back through all my saved posts on Pinterest on this very subject. There are so many great resources, examples of contracts, and suggestions for explaining the risks of being online to kids of all ages. I pieced ours together with what works for our family and thought I would share for anyone who may also be feeling the pressure of kids using technology and social media at younger and younger ages. · You will set a lock screen passcode for your devices that allow it. Write it down and don’t forget it! Then provide that passcode to mom and dad. · You will keep track of all passwords for email, social media accounts and apps. All login information will be stored by mom and dad in case you forget. None of this information is to be given to anyone else…not even your best friend. · If for whatever reason you change your passwords and fail to update us, you will lose your device. Period. We will always know the password and we will always have access to your device upon request. · Not everything you read online or hear from friends is correct. If you have questions about subject matter that may result in inappropriate content online, ASK mom or dad. We will always have access to your search history and visited links. If we find that you have visited sites with inappropriate content, there will be consequences. · Do not post or share photos of friends or family without their permission. Not everyone wants to be online. Not everyone is ALLOWED to be online. · Do not send or ask someone else to send photos of any body parts. Ever. · Do not engage with any person whom you do not know personally. · Do not post or share personal information including my full name, address, phone number, school or other identifying information online unless discussed with mom or dad first (exceptions would be made in certain situations where the info is needed). · If you come across inappropriate content online – whether it was searched on purpose, sent to you by someone else or stumbled upon by accident, you will let us know. · If something does not feel comfortable while online, trust your gut. And then tell us. · When using your device always use your manners. If someone texts you, respond. If someone calls you, answer! Talking on FaceTime? Talk! Say hello! Have your clothes on. Say please and thank you. Don’t swear. No cuss words. Be respectful. · If mom or dad calls or texts, and you have possession of your device, YOU BETTER ANSWER/RESPOND. Failure to do so results in loss of your device. · Do not use this technology to lie, deceive, make fun of or fool another human being. Do not be any part of group conversations that do any of the above. Be a good human. Do not say anything through a text or phone call on any device that you would not say in person. Do not text, email or say anything that you would not say in front of your mom or dad. · You will only download apps and/or games that are approved by mom and dad. This includes (but is not limited to) social media apps like Instagram, Facebook, SnapChat, etc. and any games, music or movies that may be rated above your age limit. · You are not allowed to make in-app purchases unless okayed by mom and dad. Wasting money on gimmicks and game “upgrades” is silly. If you have iTunes credit, you may spend it as you wish, but once it is gone, it’s gone. · Unless given permission, all social media accounts will remain “private” and will not be made “public” at any time. · You are not allowed to communicate with strangers within apps through private messages, instant messages, texting, etc. · You will not watch or listen to content that is inappropriate. This includes music, movies and YouTube videos with foul language, adult content or other offensive material. If you stumble upon something that may get you in trouble, turn it off then let us know. · Unless you have specific permission otherwise, you will turn off/silence and put away your device when in public or during face to face conversation. · Your device will not be allowed at the table while eating meals. That includes breakfast, lunch and dinner. · On school nights, your devices are not to be used after 9pm. That includes iPads, iPods and computers. Televisions and Amazon Echos have different rules that may vary. · Devices should be charging and unused from 9pm on. They may stay in your room to charge, but if I see activity after 9pm, it will need to be turned in to mom and dads room each night at 9pm going forward. · If you forget to charge your device overnight and want/need to use it the next day…too bad. Plug it in and wait! · Weekend rules may vary also (depending on your behavior and our moods). We know you will make mistakes and the consequences may include taking your devices away. But we hope you will learn from your mistakes and move forward. Every single one of these guidelines is what is best for you even if you don’t understand or agree with them. It is our hope that you take the above guidelines seriously and follow these terms as they are written. Technology is a fun and exciting thing when used appropriately and safely. But it is a privilege and it is our job as your parents to make sure it is not abused.